Bang it out with Ant Alien's new Full-On Psytrance template for lovers of uplifting, melodic Psy! The template include sa mix of MIDI Clips and audio, making it perfect for producers who want to adapt this project to their own exacting standards: we love this new-school sound! Ant Alien's new Psytrance project includes MIDI clips for basslines, enabling you to easily edit and remix the project into new versions of the tune with your own ideas, or to use as a base for your own unique productions. 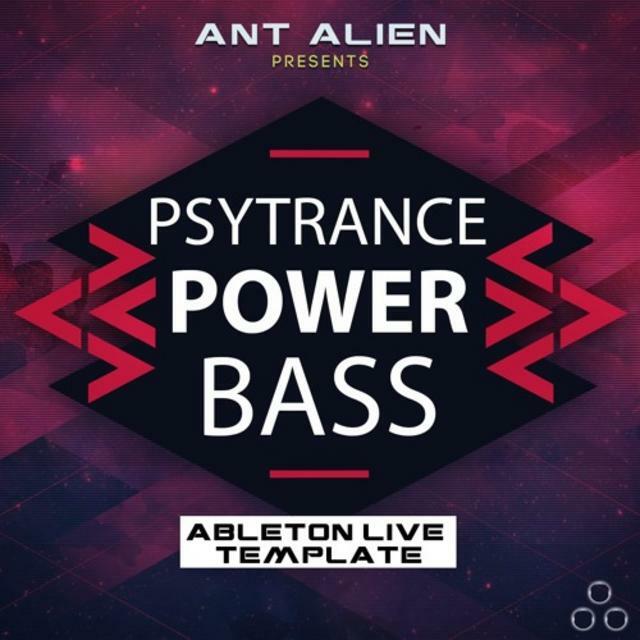 This Psytrance project was inspired by well known Top Psy artists including Krome Angels, Space Cat, GMS, System Nipel, Vibe Tribe, Bizzare Contact, Electro Sun, Sesto Sento to name a few top Psy acts: a superb Ableton Live Psytrance Template!